The money came from a Citibank account in New York held by the National Bank of Ethiopia, that country’s central bank. Prosecutors said the conspirators, contacted by Citibank to verify the transactions, posed as Ethiopian bank officials and approved the transfers. Mr. Amos was arrested last month as he tried to enter the United States through Los Angeles, a prosecutor, Marcus A. Asner, said in Federal District Court in Manhattan. Mr. Amos, who was charged with one count of conspiracy to commit bank and wire fraud, told a federal magistrate judge, “I’m not guilty, sir.” The judge, Andrew J. Peck, ordered him detained pending a further hearing. If convicted, he could face up to 30 years in prison, prosecutors said. The fraud was uncovered after several banks where the conspirators held accounts returned money to Citibank, saying they had been unable to process the transactions, and an official of the National Bank of Ethiopia said that it did not recognize the transactions, according to a complaint signed by an F.B.I. agent, Bryan Trebelhorn. A spokesman for the Ethiopian Embassy in Washington said, “We are aware of this unfortunate story.” He said the embassy was not involved in the legal proceedings, and declined further comment. Officials at the National Bank of Ethiopia could not be reached by phone for comment. Prosecutors said the scheme began in September, when Citibank received a package with documents purportedly signed by officials of the Ethiopian bank instructing Citibank to accept instructions by fax. There was also a list of officials who could be called to confirm such requests. The signatures of the officials appeared to match those in Citibank’s records and were accepted by Citibank, the complaint says. In October, Citibank received two dozen faxed requests for money to be wired, and it transferred $27 million to accounts controlled by the conspirators in Japan, South Korea, Australia, China, Cyprus and the United States, the complaint says. 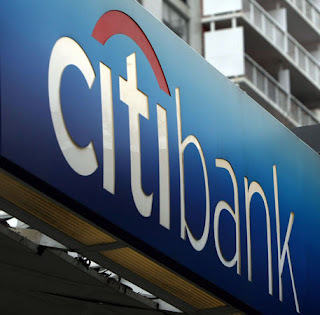 Citibank called the officials whose names and numbers it had been given to verify the transactions, prosecutors said. The numbers turned out to be for cellphones in Nigeria, South Africa and Britain used by the conspirators. Citibank, in its investigation, later determined the package of documents had come via courier from Lagos, Nigeria, rather than from the offices of the National Bank of Ethiopia, in Addis Ababa. Citibank has credited back the lost funds to the National Bank of Ethiopia, said one person who was briefed about the situation.